Bonn, 27 February 2018 - Eugenia Lanovenko was the leading ornithologist of Uzbekistan. She was born in 1950 in Siberia, but moved with her parents to Uzbekistan, where she graduated from the Tashkent National University and for the most part of her life worked at the Ornithological Laboratory of the Institute of Zoology, Uzbekistan Academy of Science. Eugenia was involved in preparation of the National Strategy on Biodiversity Conservation in Uzbekistan and participated in numerous international projects supported by GEF, BirdLife International, Wetlands International, and many others. She was a Technical Expert for Uzbekistan under the Convention on Migratory Species Memorandum of Understanding Regarding Conservation Measures of the Siberian Cranes and Their Habitats (Siberian Crane MoU) since its signing by Uzbekistan. Eugenia attended all MoU meetings and greatly contributed to the Siberian Crane Conservation Plans. She also organized a Crane Working Group of Uzbekistan. Eugenia’s interests in biodiversity research were very diverse, with crane conservation being one of her priorities. She studied migrations of Demoiselle and Eurasian Cranes and adaptations of Eurasian Cranes to changes in agriculture during wintering. The latter was especially important due to Eugenia involvement in “Flight of Hope” – an international project on the Siberian Crane reintroduction conducted jointly by Russian, Kazakhstan, and Uzbekistan experts. Eugenia was the author of more than 150 scientific papers, including articles on crane research and conservation published both in review journals as well as in proceedings “Cranes of Eurasia” and the Information Newsletter of the Crane Working Group of Eurasia. On 6 November 2017, Eugenia tragically died under the wheels of a car. 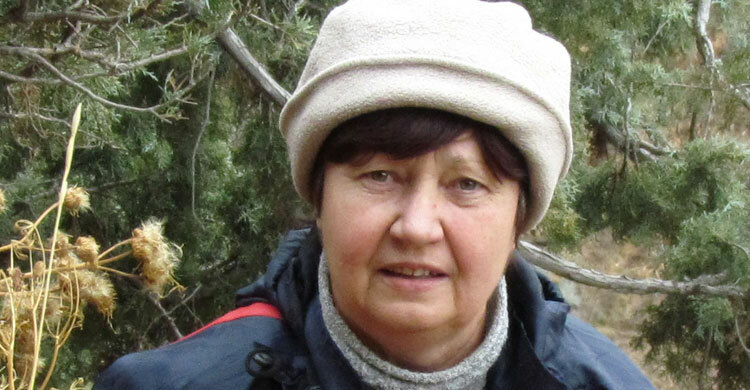 With her departure, ornithology in Uzbekistan lost an active field researcher with a wealth of knowledge on biodiversity conservation in Central Asia.